On Saturday, April 6, the lobby of Ogden Hall became a venue for the global fashion industry’s latest movement–sustainable fashion. 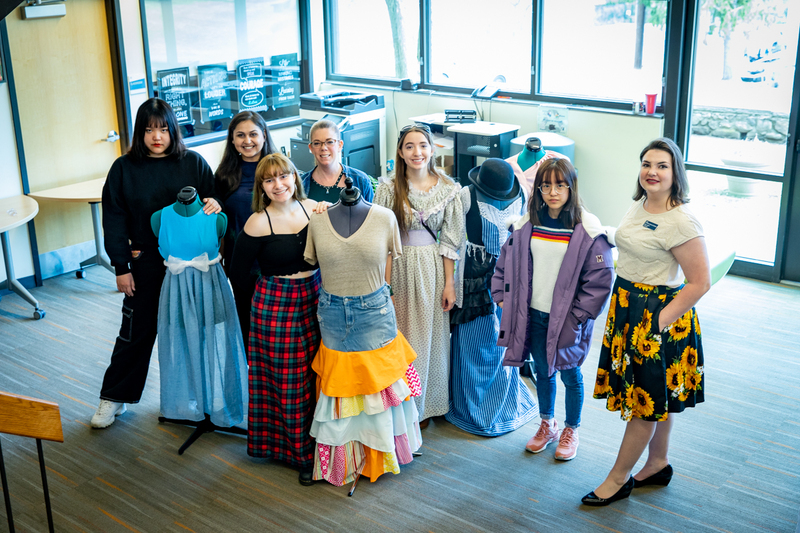 The event, called ReFashion, featured the work of local high school students including three from Storm King, who collaborated with a graduate student of New York City’s School of Visual Arts. Mrs. Pratiksha Rathi, who is studying Design for Social Innovation at SVA, recruited the students’ help earlier this year while preparing her graduate thesis on the topic of recyclable fashion. Storm King students Emily Elizabeth Kent ’21, Gloria Siyu Wang ’19, Iris Xuechun Zhang ‘19 and several students from Beacon High School had the initial task of assisting Mrs. Rathi in researching the topic of sustainable fashion–fashion that is derived from recycled, repurposed, and environmentally-friendly materials. 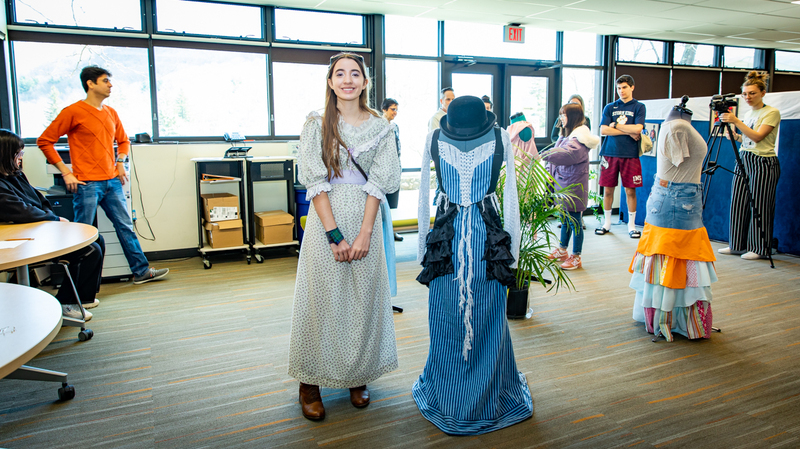 Following their research, the students collected suitable fabrics, second-hand clothing, and other materials to use as they created their own ReFashion designs. At Saturday’s event in Ogden Hall, Mrs. Rathi presented her thesis along with the students’ work. 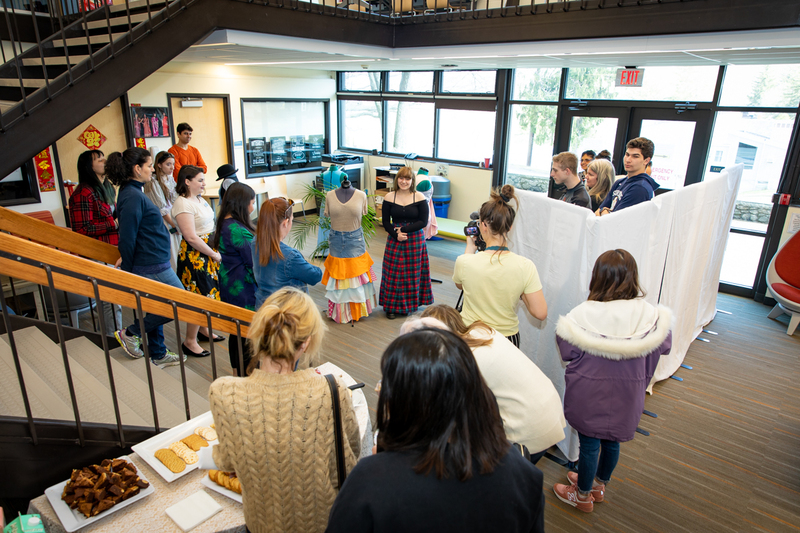 During the presentation, each student had the chance to explain their own sustainable creation to an audience of faculty, family members, and fellow students. For sophomore Emily Elizabeth and seniors Gloria and Iris, assisting Mrs. Rathi was a very positive experience. 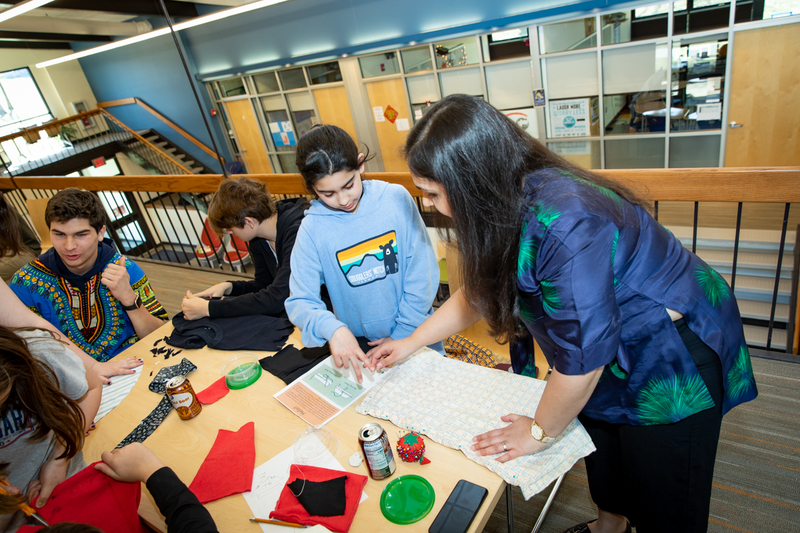 While the students used their creativity and applied what they learned in Storm King’s inaugural fashion design class this past fall, Mrs. Rathi benefited from their enthusiasm and their understanding of the subject matter. “Our cooperation fit perfectly and the students were wonderful to work with. I really appreciated their efforts, skills, and creativity. It was definitely a win-win situation for both sides,” explained Mrs. Rathi. 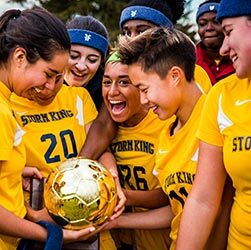 The three Storm King students, as well as Beacon High School junior Marianne Fultz, agreed. “We started working on the project in January after Mrs. Rathi contacted our schools searching for fashion students who were interested in helping out,” explained the students. Iris and Gloria spent a lot of time conducting research before they created their pieces. “We researched environmental fashion designers, environmentally friendly fabrics like organic cotton, and we tried to understand the market for sustainable fashion. Our research started in January and we began sewing the clothing after spring break,” explained Gloria. “We were very interested to participate in this project. Many fashion design students don’t realize the importance of creating sustainable fashion. They are just in it for the creativity and designing. They aren’t aware of all the negative impacts this industry can have on the environment. We hope to help change that in the future,” continued Gloria and Iris. “For me, I’m happy to know that I can still make creative pieces of clothing that are not harming our natural world,” added Emily Elizabeth.